Housed in a large building in Stone Mountain, Netherworld Haunted House’s new theme, The Awakened, features an impressive array of horror vignettes and tropes that are sure to scare even the most discerning spectator. The new Stone Mountain location gives Netherworld space to create an expansive attraction where people can really get lost in the horror. From ghosts and demons to killer clowns and escaped psych ward patients, Netherworld recreates some of the most iconic Halloween scenes in recent memory, essentially allowing you to step into your favorite horror film and see if you can handle anything that comes your way. But beware, this attraction is not for the faint of heart. The Awakened theme features mummified corpses with ghastly third eyes emerging from the depths of the Earth to terrify the living. Stone Giants, Bone Gnawers and the Undying are just a few of the demented frights you’ll encounter on your unforgettable journey through the cursed town of Whysburg. Along the way, take a walk through the Colber Mansion and see if you can make it to the forbidden city below the mountain and confront the ancient evil that created The Awakened. This haunted house is routinely recognized as one of the best in the nation and for good reason, because from the moment you step through its doors, you’re completely immersed in a frighteningly detailed world of horror. 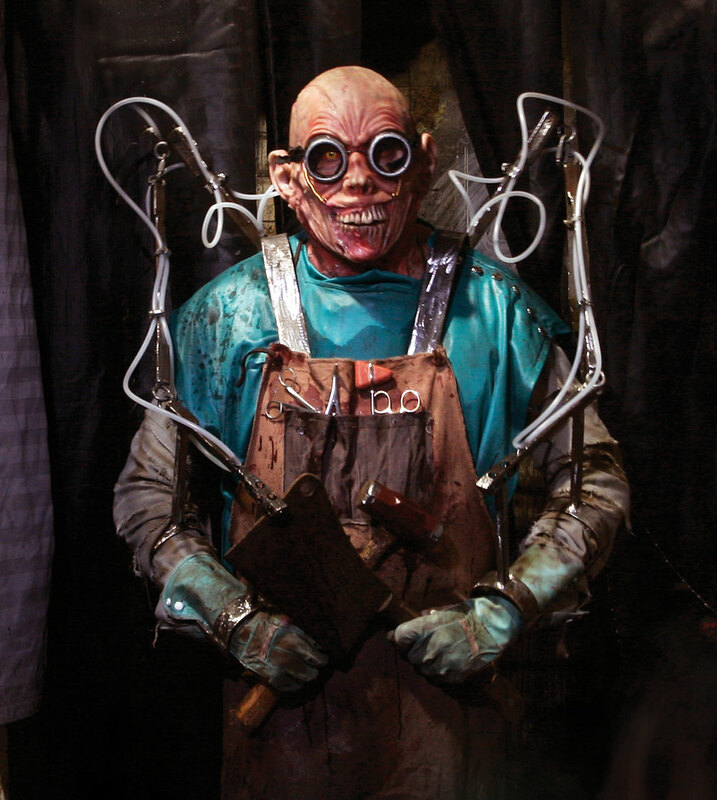 The level of detail and attention paid to each of its scenes, such as realistic looking animatronics and character makeup, makes the haunted house really come to life. With each scene blending seamlessly into the next, it’s easy to get lost in the horror. It’s so seamless, in fact, that you might have to ask the actors which way to go, to which they’d usually reply with a spine-tingling growl and a shake of whatever weapon they happen to be holding in the direction you should go next. Once you find your way through the twisted maze, the journey does not become easier. The longer you’re in the Netherworld the harder it gets to anticipate the scares. It’s easy to mistake props for actors and actors for props until everything becomes a potential jump scare. The scariest part of Netherworld is not the costumes or the actors but the possibility that anything you encounter could potentially reach out and grab you. Netherworld also features a second haunted house: “Subject: Unknown.” This time, instead of traditional demons and monsters, aliens and robots do the scaring. This journey through a government research facility is sure to shock and scare but with a more modern horror story. If thousand-year-old demonic spirits and monsters don’t get you, alien mutations and giant menacing robots will. “Subject: Unknown” turns up the heat with a fast-paced and high-stakes trek through uncharted territory as you make your way through its labyrinthine research labs and military outposts to your final destination. Along the way, you’re certain to have a few encounters of the third kind — encounters that are definitely a little too close for comfort.